IECRM is creating the newest addition to the 2017 9NEW Parade of Lights in Downtown Denver! VOLUNTEERS NEEDED: IECRM will have up to 20 walkers ea. parade night. The uniform will be provided by IECRM. Participants must be at least 14 years of age and have signed the waiver provided by the Parade Organizer. The parade route is 2.2 miles from step off to disband. Typical time commitment is approx. 3 hrs. Staging info and arrival times will be emailed. MATERIALS AND SPONSORS NEEDED: Please let us know if you would like to get involved with this once in a lifetime opportunity by supplying products or materials or if you would like to sign up as a sponsor by filling out this form. 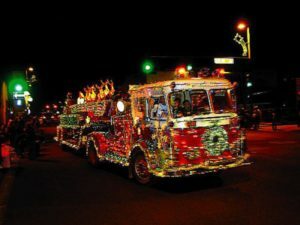 About the Parade of Lights: The 9NEWS Parade of Lights is produced annually by the Downtown Denver Partnership. 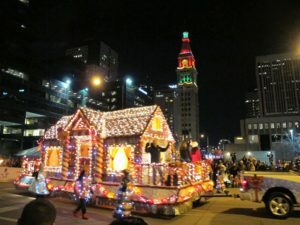 The two-mile parade route in Downtown Denver is the stage for Colorado’s brightest holiday tradition! 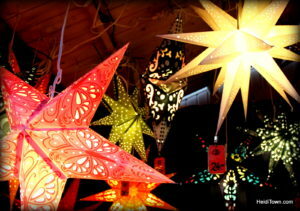 Click Here to view the Current Parade of Lights Float Inventory. Telecast: The Parade will air on LIVE TV as a one-hour prime time special on Friday, December 1, 2017 at 8:00 p.m. by 9NEWS (KUSA); and will rebroadcast three additional times later in the month. 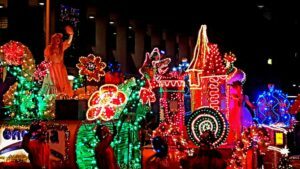 Parade Dates: Friday, Dec. 1, 2017 at 8:00 p.m. and Saturday, Dec. 2, 2017 at 6:00 p.m.
IECRM will host its Annual Holiday Party on Friday, December 1 to coincide with the Parade of Lights to watch the new IECRM float make its debut in the parade. Get tickets! Questions? 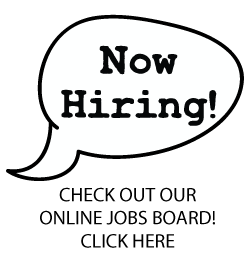 Please call IECRM at 303.853.4886.